As the first phase of 2019 Lok Sabha election is around the corner, the political heat is turning up across the country and the party bearers might be losing the temperature and are attacking their counterpart, not only in verbal terms but in physical as well. 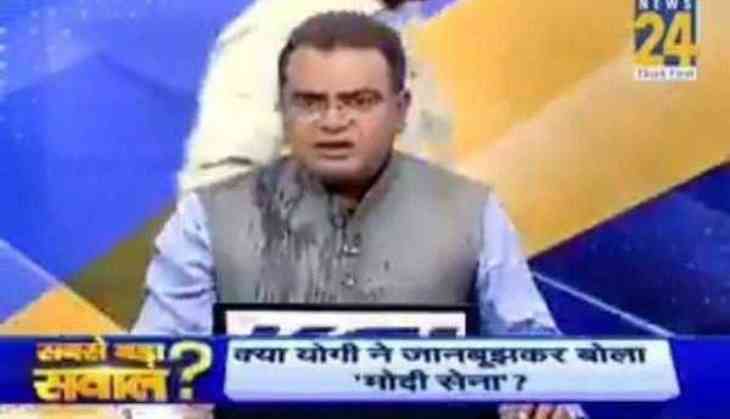 In yet another turn of event, a political debate on news channel turned ugly and the party spokesperson of Congress attacked the BJP counterpart with a glass of water on a live TV as the discourse touched a new low in the electoral atmosphere. The BJP counterpart had allegedly called the Congress men as “traitor” and getting furious over the formers comment, the panelist threw the glass and the debate was halted after their physical act of violence. The Congress spokesperson Alok Sharma, while losing his temper attacked the BJP spokesperson KK Sharma and all this drama took place while the camera was rolling. The clip is doing rounds on the social media and the BJP has also tweeted about it. The water thrown from the glass landed upon the jacket of the anchor and he eventually had to change his outfit to complete the show. Later on, both the panelist of the BJP and Congress, were evicted from the show.